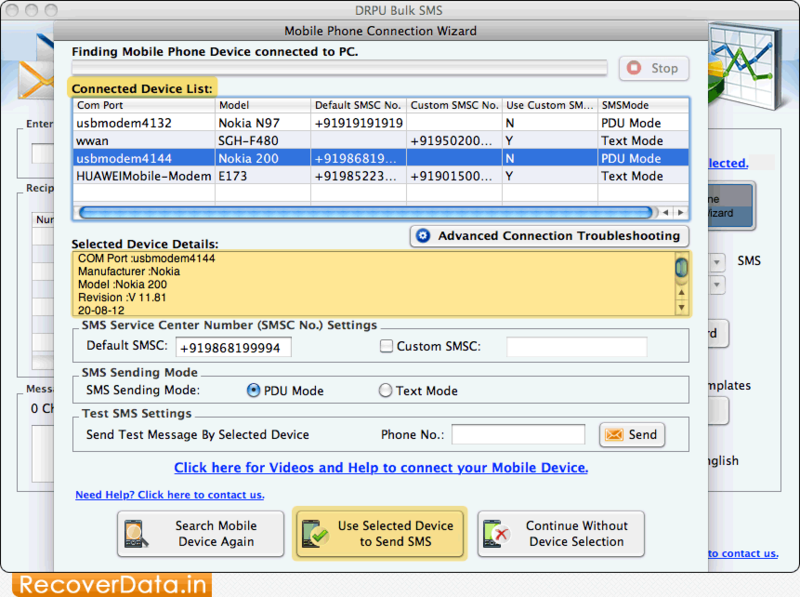 Mobile Phone Connection Wizard shows selected device details. 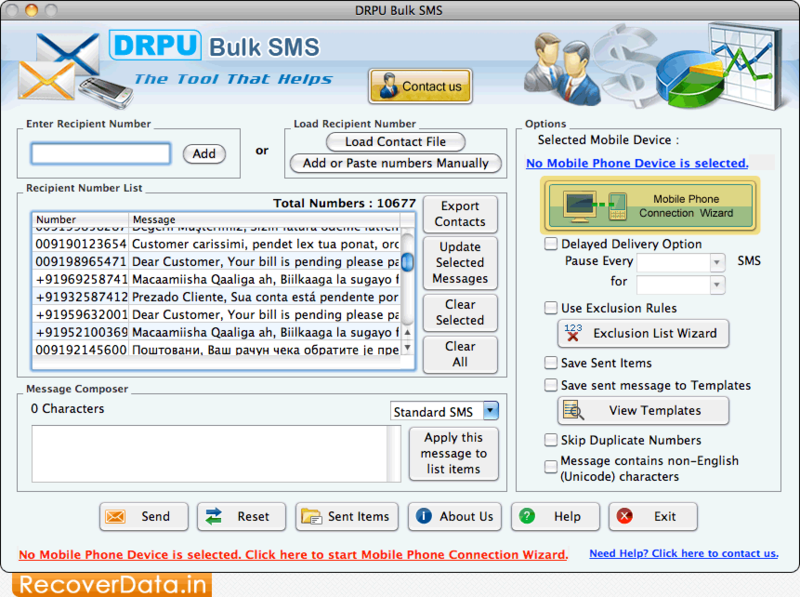 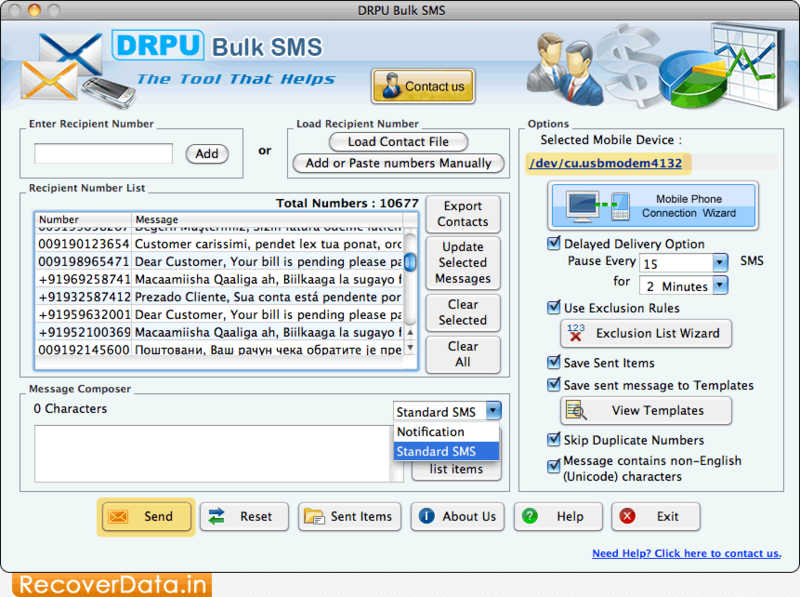 Press 'Send' button to send bulk messages. 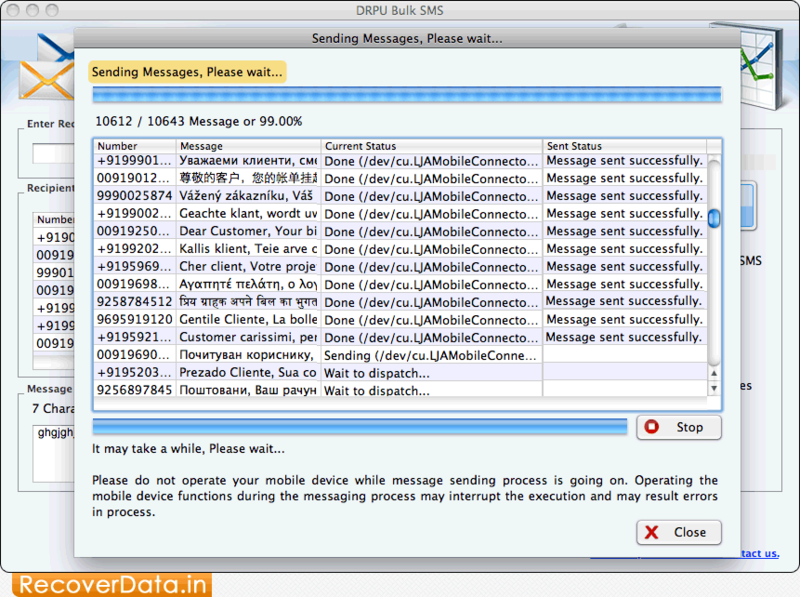 Progress bar to display current status of Message Sending Process.